Where did the payload go? Did they attempt to recover the first stage boosters? Where did the first stage boosters land? Did they attempt to recover the core stage? Where did the core stage land? 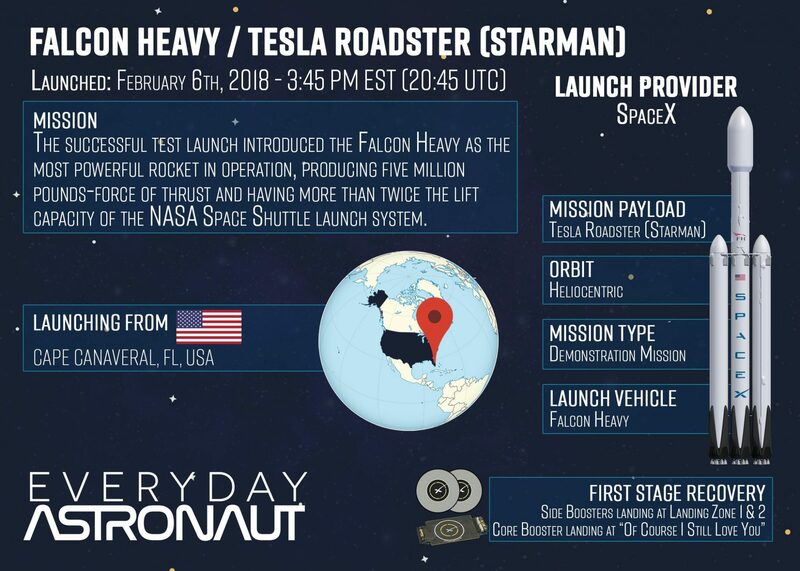 On February 6th, 2018 at 20:45 UTC (3:45 PM EST), SpaceX launched the first Falcon Heavy from Launch Complex 39A at Kennedy Space Center. The 27 Merlin 1D engines on the 2 first stage boosters and core stage roared to life and with 5 million pounds of thrust, them rocket began its ascension toward space. The 2 side boosters had flown previously, one on the Thaicom 8 mission in May of 2016 and the other on the CRS-9 mission in July of 2016. It was the first flight for the core booster. 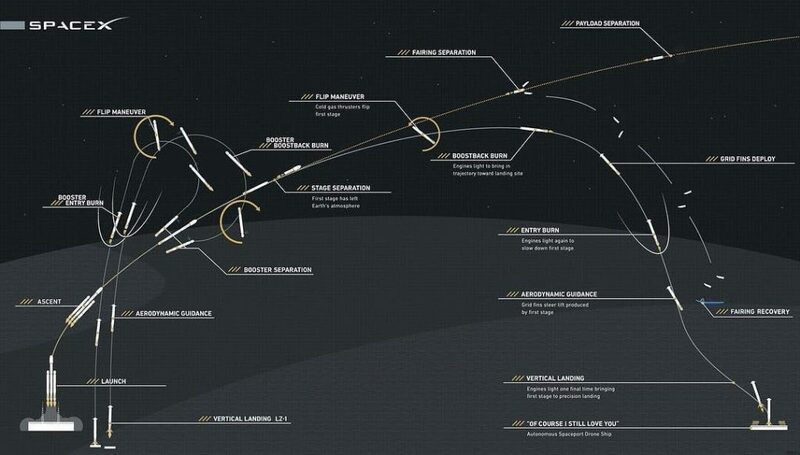 The side boosters burned at full throttle for nearly the entire ascent, while the core stage throttled down shortly after lift off to reserve fuel. After burning for 2 minutes and 29 seconds the engines on the side boosters shutdown and separated from the core stage seconds later to begin their return to Landing Zones 1 & 2. The center core throttled up and burned for another 31 seconds before separating from the second stage to being its journey toward the drone ship, Of Course I Still Love You. The Merlin 1D vacuum engine on the second stage began its first burn 3 minutes 15 seconds into flight. 34 seconds later, the fairing separated to reveal Starman riding in Elon Musk’s midnight cherry Tesla Roadster. At 6 minutes and 41 seconds into flight, the two side core boosters performed their entry burns and successfully landed at Landing Zones 1 & 2 just 77 seconds later. Meanwhile, the core booster began its entry burn at 6 minutes and 47 seconds into flight, but it was unable to successfully perform a landing burn and failed to land on the drone ship. The second stage engine throttled down at 8 minutes and 31 seconds into flight and began a nearly 20 minute coast phase. At 28 minutes and 22 seconds into flight, the second stage engine fired again for 30 seconds and entered the Van Allen radiation belts. 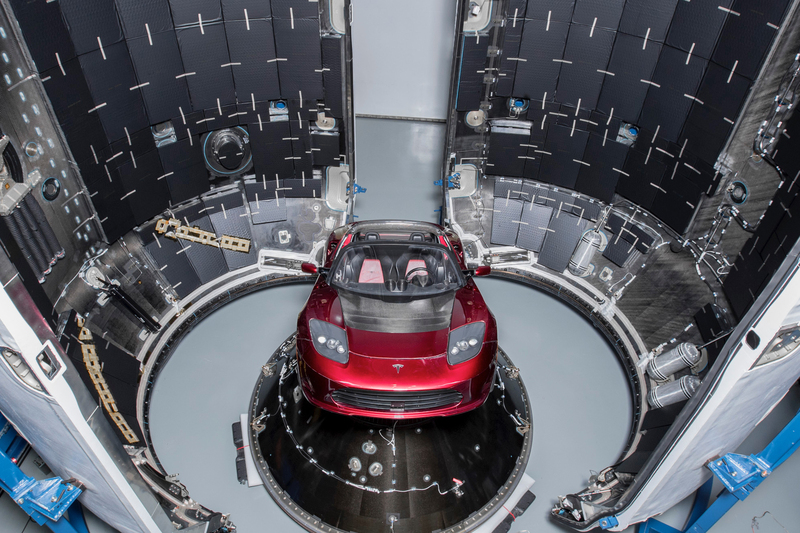 The second stage fired for a final time 6 hours after take off to propel Starman and the Roadster into a heliocentric orbit with an aphelion that extends to the orbit of Mars. In celebration of the One Year Anniversary, I composed music to Falcon Heavy’s sequence of events. This 3 song album is based on Falcon Heavy’s actual sequence of events from its inaugural launch, February 6th, 2018 from LC-39A at Kennedy Space Center. 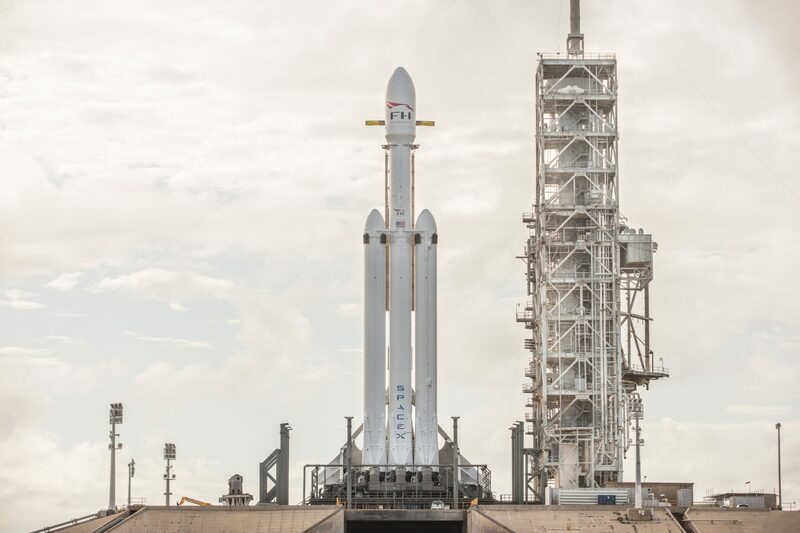 These songs represent the emotions I experienced watching the Falcon Heavy launch in person: The suspense leading up to T-0, the rush of adrenaline when side booster ignition occurred at T – 7 seconds, the disbelief and awe at lift off. The following moment was best described by Elon Musk with “Holy flying f*@k, that thing took off.” There was anticipation leading up to maximum aerodynamic pressure, when it settled in that everything was actually going as planned, there was pure euphoria. The live-stream cut to Starman in orbit, an image that instantly became iconic. An image that immediately awakened the public, called for the world’s attention, and set a new stage for human space exploration. The video has not been altered in any way from the official SpaceX video here, (Yes, their T clock does jump a few times) Timing of major events was intentionally written to match all sequence of events. There’s also a few fun “Easter eggs” like 27 bars before T-0, the first chord being an F Major (that was one major (F)alcon rocket) and audio samples from the webcast. Album coming to Spotify, iTunes, Google Play, and many more in April, 2019. 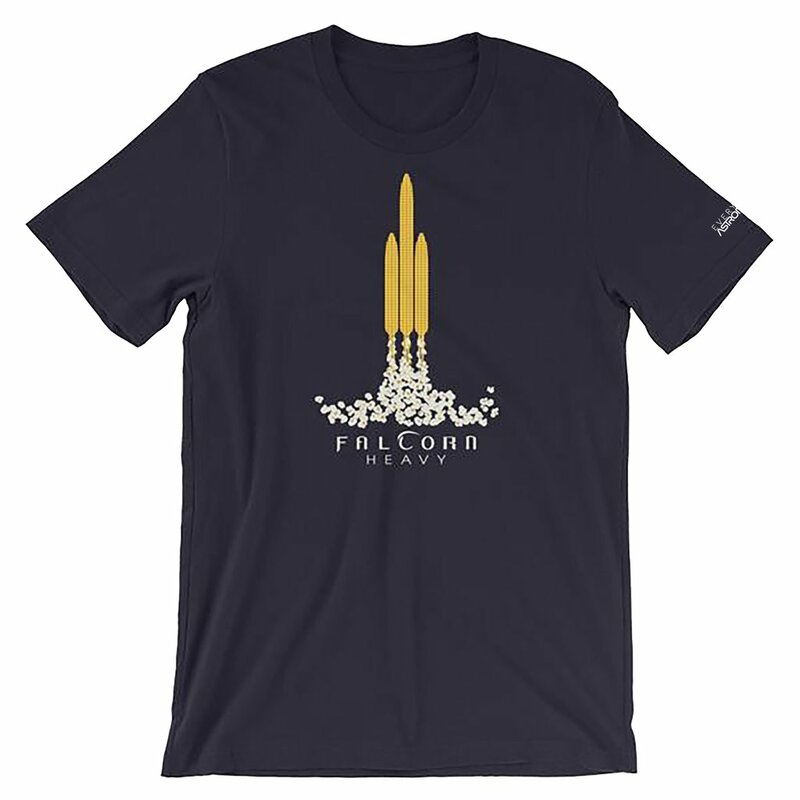 Limited edition Falcorn Heavy shirts available now!